Maybe you can’t hear the way I am saying it, what I meant was ‘Sounds like typical Pauline’, haha. I guess Dragon pauline has pauline’s personality now. 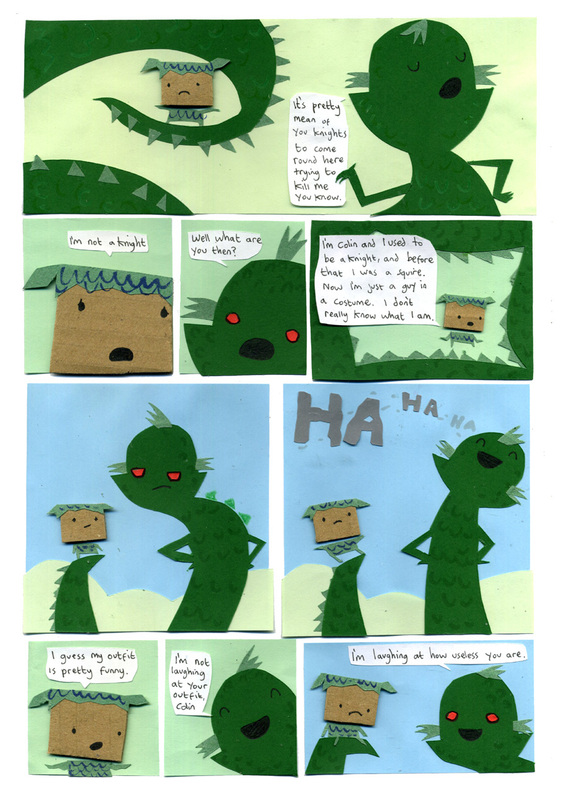 We need all the characters from ‘MY CARDBOARD LIFE’ to feature as characters in this tale. Kind of like bugs bunny when he went back to King Arthurs court, porky pig and daffy duck were all characters. I want to see the polar bear and dr. bandaid in this one. … I want my sympathy back. KICK HER IN THE FACE!! Is the fourth panel from the point of view of someone the dragon just ate?